March is just around the corner, and with it comes the wish lists and rumor-mill pre-game shows leading up to a probable Apple Event. The spring time is when we have come to expect new iPad announcements that often include accessories with with some occasional iPhone goodness sprinkled in for good measure. This year appears to be no different. In fact, this year might actually be one of the busiest spring Apple Events in recent memory. All the usual, mostly reliable suspects are chiming in, and many of them have been predicting very similar announcements. Tops on the list of predictions is the release of a new iPad screen size in the lineup. The size reference to this new iPad size varies somewhat, but it is expected to be in the 10.5″ to 10.9″ range, with the latest supply line leaks suggesting more than likely to be 10.5″. This new iPad will have an edge-to-edge screen design that allows it to still have the same “footprint” as the 9’7″ iPad Pro form factor. In addition, it is also rumored to be void of an actual home button, potentially giving us a preview of what to expect with the 10th anniversary iPhone next fall. Shipping of said iPad may not be at the same time as the rest of the updated iPad Pro lineup, though there is little chatter about that info currently. The Japanese tech site Mac Otakara is reporting that although the new iPad will have an edge to edge design, a larger portion of the top bezel will remain in order to provide space for the front-facing FaceTime camera. This seems a little odd, as Apple typically doesn’t feature products that aren’t uniform in design–we shall see. The 12.9″ model is predicted to have an upgraded camera and True Tone display previously saved for only the 9.7″ model, we might not see any “new” features or even chip updates to the 9.7″ version. It is possibly/probable that the 9.7″ will now become the affordable option with the 10.5″ iPad displacing it as the Pro version. 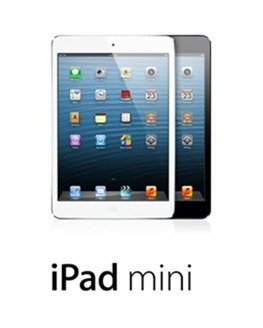 Finally, and perhaps the most skeptical rumor to be presented is the upgrade of the 7.9″ iPad mini to the Pro line-up. Not updated site the release of the iPad mini 4 in September of 2015, the iPad mini is the least popular version of the iPad, especially since the introduction of the Plus model iPhone. Unless this is an Attempt by Apple to advance the 7.9″ iPad one last time into the Pro market by updating the camera, display and chip set as well as adding a smart connector, I’m not sure we expect to see the 7.9″ getting any love come March. Typically the most reliable measuring stick for new hardware release info has been from monitoring Apple’s supply chain for leaks. With this in mind, there is currently no one better at interpreting that info than KGI Securities analyst Ming-Chi Kuo. Ming-Chi Kuo has been reporting since last summer that Apple is planning a three-headed monster attack for the iPad Pro including model screen sizes of 9.7-inch, 10.5-inch, and 12.9-inch for 2017. He has never mentioned a updated version of the 7.9″ model, and we tend to agree with him. He goes on to suggest that the new 10.5-inch and 12.9-inch models will most likely be updated to a new Apple A10X processor, and the 9.7-inch model will feature an A9X chip. So what do you think? Do any of the new iPad rumors get you excited about new iPad’s again? Are you in the market for an upgrade? We would love to hear what you think in the comments section below.